Lisa Smith Presta is a trial attorney and Chair of the Insurance Litigation Department at MacDonald Illig. Ms. Presta's experience includes the handling of complex, multiparty litigation involving commercial disputes, breach of contract claims, fiduciary obligations, and professional services. Ms. Presta handles non-compete and tortious interference litigation in addition to defending claims of employment harassment, discrimination, retaliation and wrongful discharge. She represents individuals, nonprofit entities and for-profit companies in numerous industries, including health care, manufacturing, economic development, real estate and insurance. 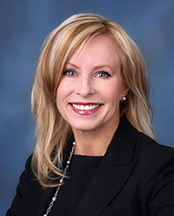 Ms. Presta regularly appears in state and federal court, before appellate courts, before administrative agencies such as the Equal Employment Opportunity Commission, in arbitration tribunals such as the American Arbitration Association, and in other alternative dispute settings. Ms. Presta is a past president of the Erie County Bar Association and has served as the chairperson of its Civil Litigation Section. She is a member of the Pennsylvania Defense Institute and a frequent speaker and author on issues of substantive law and trial practice.